Adlerʼs theory is a holistic psychology that focuses on the goals and purposes of human behavior. Holism suggests that a person is working toward the same goal on all levels of his or her experience. It also views the behavior of a person as being socially embedded. Nothing happens in isolation. As a holistic psychology, Adlerians focus on the unity of behavior. All behavior is seen as goal directed and moves from a “felt minus” to a “perceived plus.” Goals come in all dimensions: short term, long term, and at various points in between. Think of why you went to school, why you visited this webpage, why you did almost anything and you will find a goal involved. Adlerians think of goals as being an important part of motivation and the cause of behavior. Certainly our past has a role in exposing us to possibilities and learning opportunities but our choice to move in a particular direction reflects our goals and our ability to direct our own lives. So what is an Adlerian? An Adlerian is a person who applies the ideas and principles of Adler in his or her work. That work might be as a doctor, a nurse, a counselor, a teacher, a principal, a business consultant, a politician, a blue-collar worker or any other occupation. 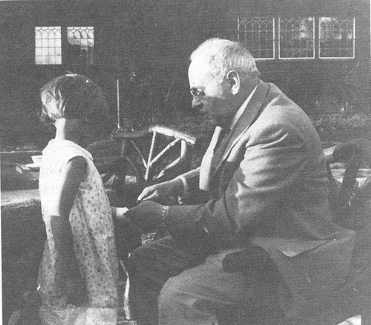 Adler applied his ideas in his practice as a psychiatrist. But he also went outside his office to the schools of Vienna and to the public. He started over 20 clinics in the schools of Vienna for teachers, parents, and children to learn how to solve their problems together. He spoke frequently to the public, explaining psychological concepts that could help them in their daily lives. He wrote over 300 books and articles in an attempt to share his insights with others so that they may all live and work more cooperatively. Thatʼs what Adlerians do. They work in schools, clinics, businesses and communities. They counsel and encourage people who are most in need of encouragement. They create learning environments where children thrive because they feel a sense of belonging, and know that they are respected and challenged at the same time. They write books and training manuals that help people learn how to live together, learn together, and work together in cooperation and mutual respect. If you read through this short description of Adlerians and like what you read, maybe you would like to learn more about Adlerian Psychology or join us in the North American Society of Adlerian Psychology. If so, there is a membership form on our webpage (http://www.AlfredAdler.org). We look forward to hearing from you. One of the best resources on the web for learning more about Adlerian Psychology and Alfred Adler, is Henry Stein's webpage. It contains many articles on Adler and gives not only more biographical information but theoretical foundation as well. Go to: www.Adlerian.us.